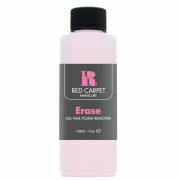 Effectively remove your nail varnish with Leighton Denny Essential Remover. 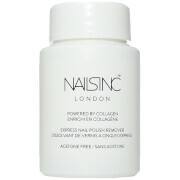 The Essential Remover contains a blend of ingredients that moisturise, strengthen and help protect against brittle nails. Its technologically advanced formula is acetone free and is safe for both natural and artificial nails. Please be aware that nail varnishes and nail varnish removers can only be shipped to the UK, France and Germany due to mail restrictions. To avoid delay to the processing of your overseas order, please do not add any such products to your basket as we will be unable to fulfil your order. I didn´t have big expectations due to quite low price but I was nicely surprised. It doesn´t dry my nails and a nail polish comes off by one stroke of a pad soaked in this. This works well and takes off two coats, as well as top and base with ease. It feels gentle too. I have repurchased as I dont want to be without it as I change my varnish weekly. I like Leighton Denny nail products because they work so well. This acetone-free polish remover is very quick and effective, smells nice and is gentle on the nails. It cleans the nails thoroughly without drying them and adds a conditioner as well. Although it is acetone free it still has a strong acetone smell because it contains Methyl Ethyl Keton which is damages nails too, but I didn't knew it till I actually got a product... Won't buy it again, will search for something more natural and less harmful. Definitely the best remover I have tried. While there are others that are also acetone-free, they still leave cuticles feeling dry. This one leaves your cuticles feeling moisturised and comfortable. Removes polish quickly. Excellent brand. The only nail polish remover I will ever use.